 Visit Website This website provides information on the Royal Commission Into Institutional Responses to Child Sexual Abuse and available support services for Aboriginal and Torres Strait Islander people. The website also provides a list of frequently ask questions to assist in the process of contacting the Royal Commission and in telling your story. Visit Website The Australian Government’s My Child website is a national online resource. It provides information on child care, children’s health and wellbeing, parenting and family support. The My Child website also shares resources and reports relevant to the early childhood sector. Visit Website The Australian Institute of Health and Welfare has published a paper written by Professor Judy Atkinson, examining the effects of trauma and overcoming its lasting effects. ‘Trauma-informed services and trauma-specific care for Indigenous Australian children’ provides discussion around appropriate interventions to assist in alleviating the effects of trauma. Visit Website The Early Childhood Australia website offers information on early childhood development, growth and learning, early childhood practice, programs and policy, and emerging issues and research. Visit Website The Committee on the Rights of the Child (CRC) is the body of independent experts that monitors implementation of the Convention on the Rights of the Child. The website outlines the Convention and its Optional Protocols, the work of the Committee, and reporting processes. Visit Website The Australian Human Rights Commission website provides information on human rights, discrimination, policy and legislative development in Australia. Visit Website Lateral Love Australia is an information network devoted to bringing Lateral Violence for Aboriginal & Islander Peoples of Australia into the public arena.